Orange Is The New...Secret Weapon! You know the situation, you look at yourself in the mirror and dark circles under your eyes glare back at you telling you sleep has not been your number one priority, you haven't been eating as healthily as you should, oh and don't even start on the lack of water you've had. So, you put on your usual foundation, look a bit better. Great. But slowly and surely those dark circles come peering back through the healthy glow of foundation and then you remember - concealer! It's supposed to cover dark circles with ease, after all that's what it is designed for! You slather it on under your eyes watching the tiredness drift away as though you'd somehow managed to fit two weeks in Thailand into your busy schedule. But then, hang on, what's that? Dark circles? Slowly peeping back through the foundation and the concealer as if to say "missed me?". You grab the concealer once more and apply another layer and then a third only now, everything is becoming very thick and clogged under the eye and in an hour or so you'll have more lines under there than before you applied anything. Well firstly, it's not your fault. Most concealers sold both on the high street and in make-up stores tend to be designed to be a couple of shades lighter than your foundation. They contain more pigment than foundation, are usually more opaque and often contain light reflecting properties. This all comes together to brighten the under eye area and 'block' the eye from seeing the darkness beneath. This is fine if you hardly have any under eye darkness. The concealer in that case will do the job just fine. In fact if the darkness under your eyes is a deep red/brown colour then a yellow toned concealer will do just nicely. But for many of us the dark circles, especially as we get older, have become much more pronounced and will always come pushing through normal concealers like an annoying unwanted guest at a party. The answer to this, discovered whilst performing my work as a skin camouflage expert (http://www.camouflageconsultations.co.uk/) is through the art of colour correction. In some cases what is needed is not an attempt to block a colour from coming through but instead to correct it. My final and possibly favourite recommendation is again from the world of corrective camouflage make-up. Dermacolor is a leading provider of camouflage creams and one colour in particular is fantastic at correcting blue tones on the face. The initially frightening looking D30 is a deep rich fiery orange (see left) but when mixed in the right way with another product it gives corrective cover like no other. One option when using this is to mix it with a second Dermacolor shade, one or two shades lighter than your skin tone. 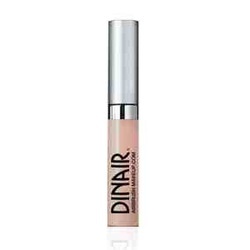 For lighter skins this will result in a beautiful apricot tone which works miracles when placed under the eye. Those with darker skin should again mix it with another Dermacolor cream one shade lighter than your own skin tone which will result in a deep rich salmon colour to banish those blues. Incidentally on dark and Asian skins, this combination can be used around the lower cheek and mouth area if you find you have darker patches which sometimes show as ashy or blue through your foundation. You can learn how to do this in a consultation with TheMakeupMan. On lighter skins, large freckles and sun spots can be made to magically disappear using the apricot colour mixed as described above. The advantage of using the D30 is that you can mix more or less of it with your secondary product according to how blue the area is which you need to correct. Dermacolor is extremely highly pigmented so a little goes a long way. In fact one of the small 4ml pots which last a very long time. Some shop bought concealers and foundations can be mixed directly with the D30 negating the need for a second Dermacolor purchase, but not all will cope with such mixing. During my consultations at TheMakeupMan I always find the best solutions for clients to conceal problem areas and D30 from Dermacolor features quite heavily. The best way to discover its power is to have a consultation and experiment with the myriad options. Once you have realised what a difference this makes to how you look you'll never miss it out of your make-up routine. So, if like many people you sit in despair adding more and more concealer to try and banish the under eye blues then next time think differently about the solution and let those thoughts definitely be orange in tone. Consultations with TheMakeupMan can be booked at www.themakeupman.co.uk/contact and include many other insider tips and tricks to help you look your best every day.